A2 Key for Schools follows exactly the same format as A2 Key and the level of the question papers is identical. The only difference is that the content and treatment of topics in A2 Key for Schools have been particularly targeted at the interests and experience of school pupils. Exceptional candidates sometimes show ability beyond A2 level. 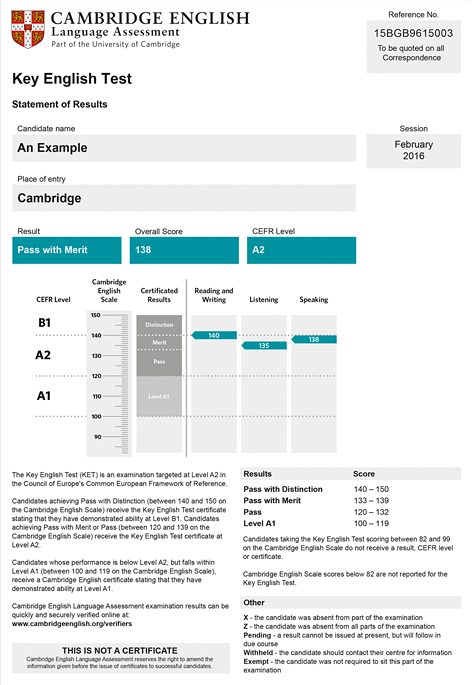 If you achieve a Pass with Distinction in your exam, you will receive the A2 Key certificate stating that you demonstrated ability at Level B1.